The Parkway Tower is an eight story office building situated along the riverfront just south of Briarcliff Village. 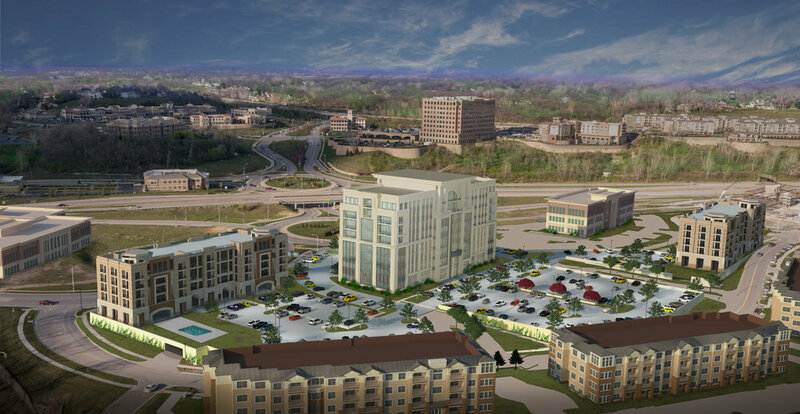 Aerial rendering facing south towards downtown. Persepective render facing plaza water feature.